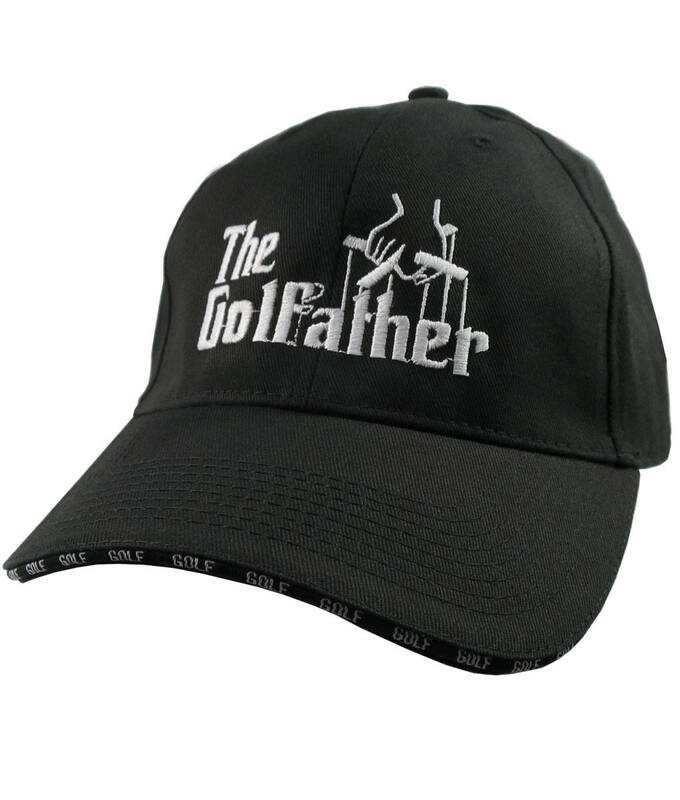 “The Golf Father”; a typographic headline graphic inspired from the classic mob movie. 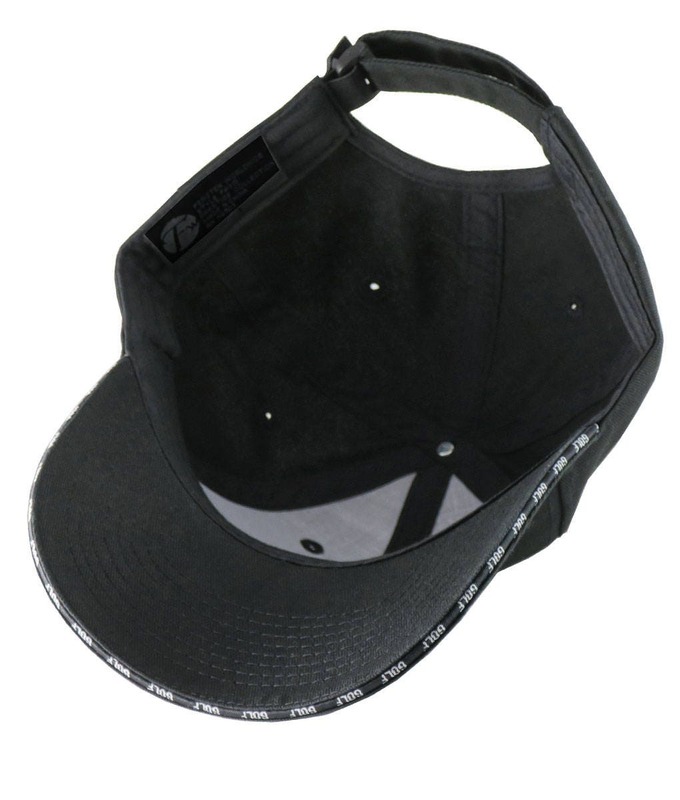 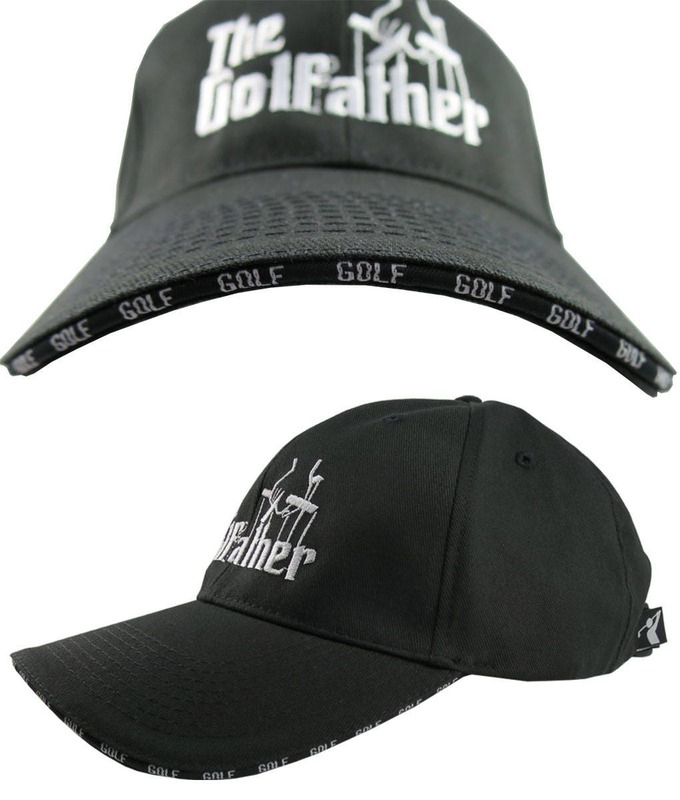 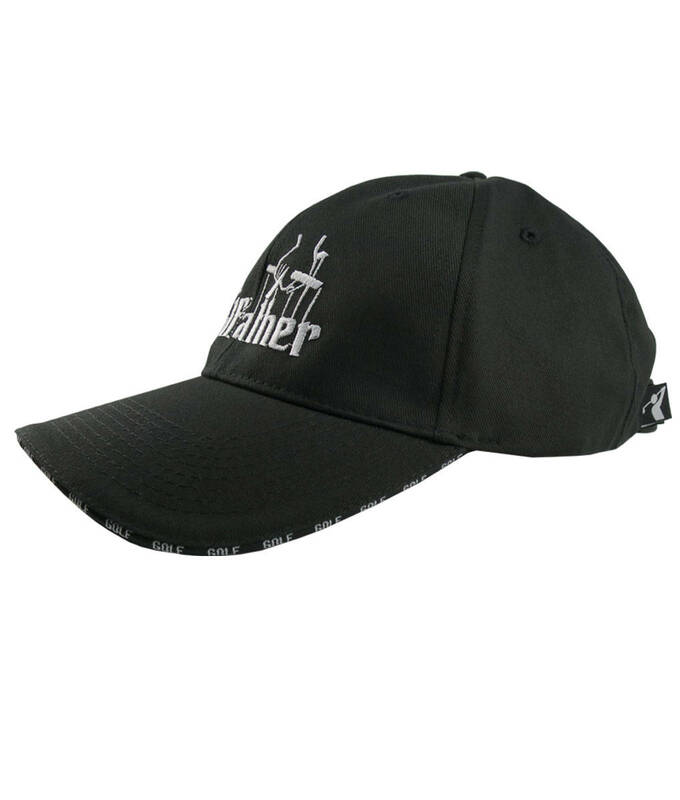 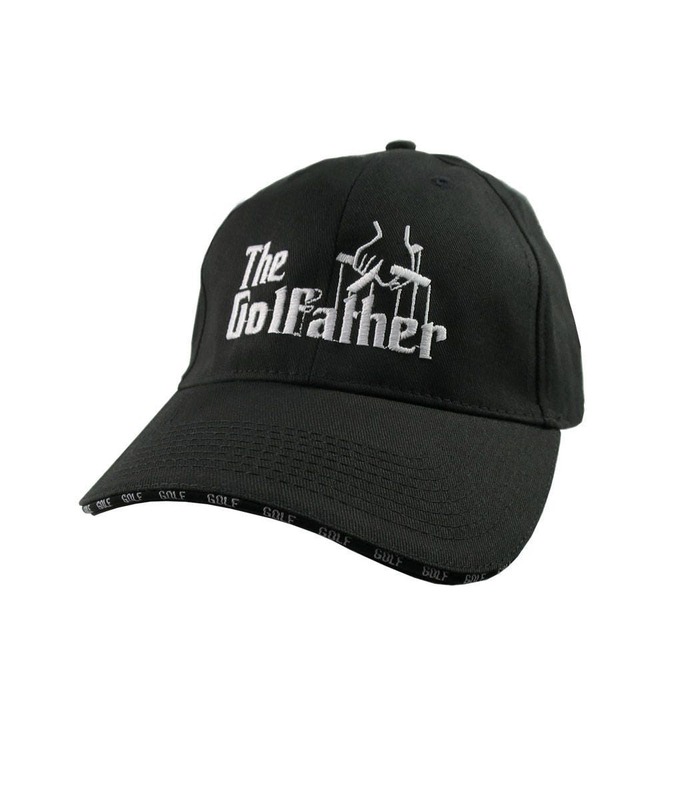 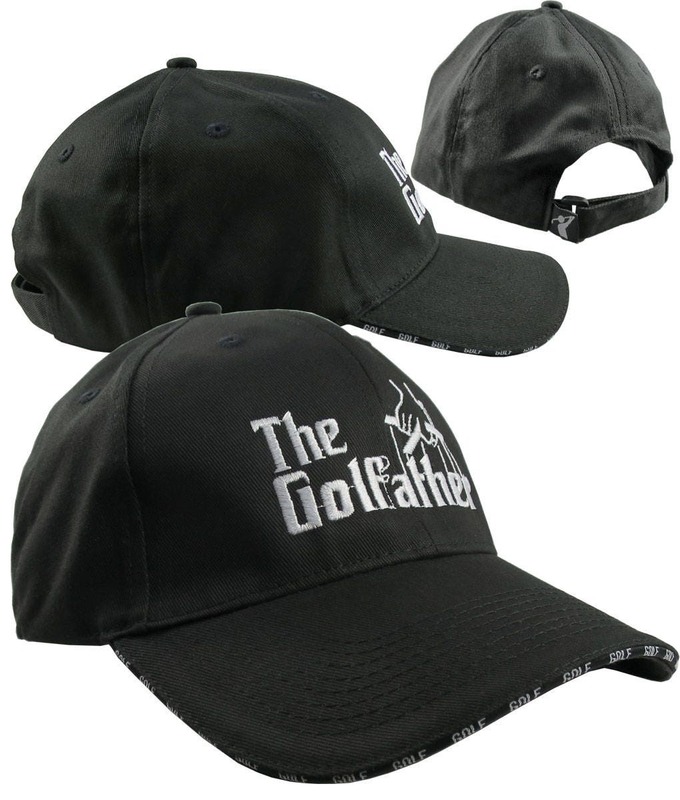 The Golf Father white embroidery design is offered on this comfy black 100% premium cotton twill mid-profile adjustable cap making it an excellent choice for casual everyday and special occasions with a humorous touch. 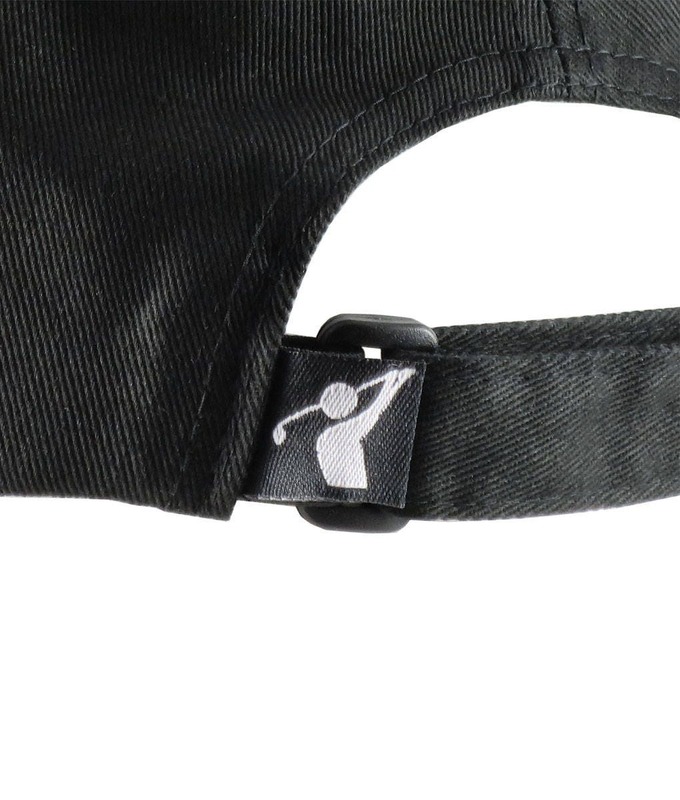 The cap is also nicely trimmed with Golfing decorative details. 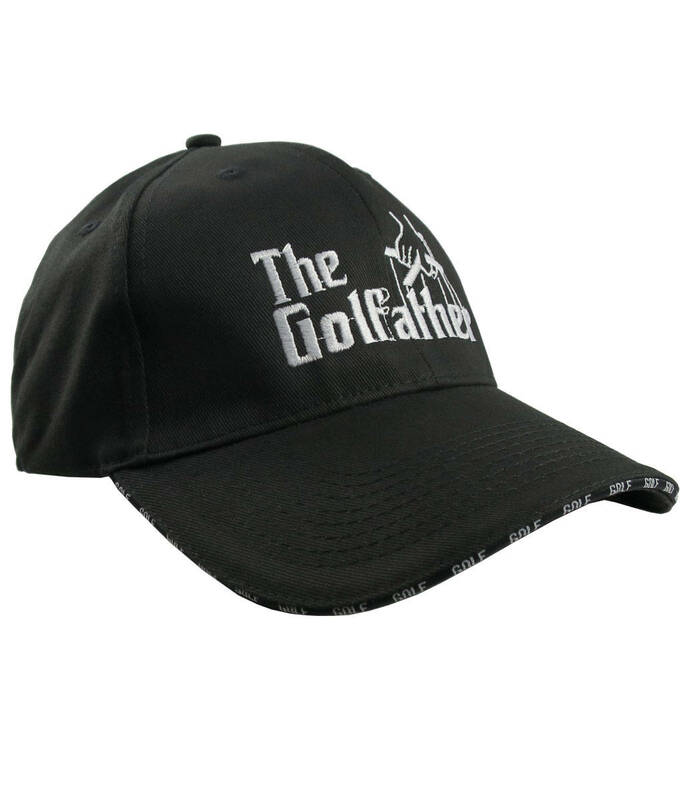 All in all a great Father's Day or retirement gift idea for yourself or for someone special on your list.